Over the last 24 hours, transfer speculation regarding some of Europe’s top players has begun once again. Let’s take a look at some possible moves for the summer window. The Atletico midfielder according to ESPN, is close to a move to the Etihad in the summer transfer window, with Pep Guardiola a keen admirer of the Spaniard. The Catalan club’s attempts to bolster their midfield have been evident with the acquisition of Ajax midfielder Frenkie De Jong right under the noses of PSG. Yet it seems like the Blaugrana will finish second in the race to sign Saul, who is likely to be the long term replacement for the ageing Citizens midfielder Fernandinho. ESPN are suggesting an €80 million price tag for the highly rated Rojiblancos youth product, which is understandable when you take into account his incredible versatility (able to play any where in midfield and in defence) as well as his tireless work rate – the perfect replacement for City’s 34 year old Brazilian. Italian outlet Tutto Mercato are reporting Paulo Dybala will be at the centre of a tug of war between two of Europe’s top clubs. The striker has had an average season by his standards, with just 9 goals in all competitions for the Bianconeri and has especially struggled following Cristiano Ronaldo’s arrival in Turin. It’s looking like the Argentine may have to move away in the summer to become the main man. OVERSHADOWED: Could Dybala be tempted with a move away from Turin? Both Liverpool and Real Madrid are reportedly interested in securing the services of Dybala next season. The Old Lady will certainly command a huge fee for the 25 year old, knowing the competition to gain his signature. La Joya is without doubt one of Europe’s most exciting prospects and it doesn’t seem likely that Juventus will let him go, even if the alien that is CR7 will continue playing till he is 40! 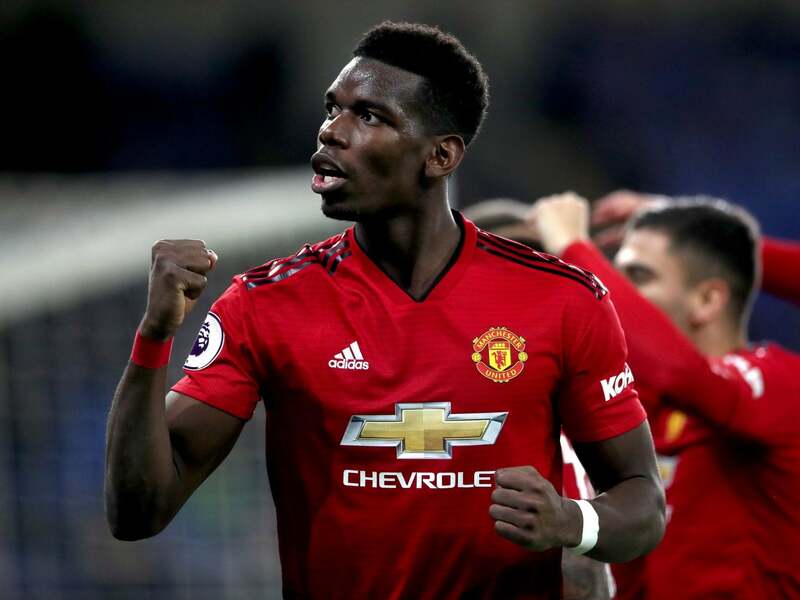 Despite suggesting he is ‘happy’ in Manchester since returning to stellar form under Ole Gunnar Solskjaer, Paul Pogba continues to fuel transfer speculation, to the frustration of Red Devils fans. The Frenchman has had a resurgence under the Norwegian with 20 goal contributions in 27 Premier League games this season at the time of writing. Yet regardless of this, he has angered United fans today with comments on Real Madrid. These comments will only cause friction between United fans and the World Cup winner, who continues to flirt with a transfer away from Old Trafford, even with his upturn in form. He is an integral part of the side’s recent success and links with a move away will only lead to more uncertainty.